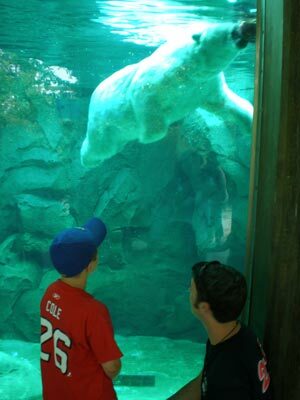 In zoos, the zookeepers have a critical role in the care and welfare of the animals. They are both care takers and ambassadors to the public on the animals?behalf. As environmental and animal rights issues move to the forefront, zoos are looking for zookeepers with technical expertise and a knowledge of science to provide the best animal care, educate the public and participate in regional, national and international cooperative programs. Want to start a career as a zookeeper? Get a college degree at the State University of New York's Jefferson Community College! JCC's Zoo Animal Technology program provides a unique mix of academic and hands-on training at a variety of zoos in New York and Canada. Follow the link below to visit the official SUNY Jefferson website. Informational Survey - Learn about Zookeeping and Jefferson's Program. Are they right for you? Visit Jefferson Community College - Attend the Next Open House! Tour campus and meet college representatives. Zookeeping: An Introduction to the Science and Technology The textbook is here! News and Events See what SUNY Jefferson zoo technology students are doing. NOTE: Zookeeping.com is not an official SUNY Jefferson website.